Most people wish they could win one race per year, in fact even for most pro triathletes that would be a pretty good season if they got a win. Billy has won two races this year and claimed two more second places overall. 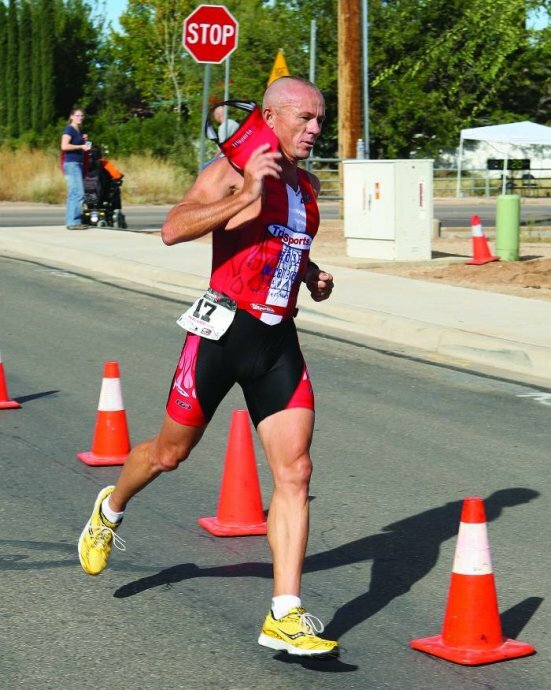 Today in Sierra Vista, at the Third Annual Sierra Vista Firefighters Biathlon Billy stays close to the leaders on the 5k run, keeping himself in striking distance of the lead. Then he hops on his trusty yellow Felt B12 and throws down a bike split that moves him from third up to first overall. Since it’s a biathlon, there was no second run. Billy was able to cruise across the finish line with a comfortable 1:40 margin of victory. Hardly worth the effort of putting the race wheels on. This should give him a confidence boost going into Silverman next Saturday.